Outbound Telemarketing Services | DRS Acquisitions, Inc.
"Integrity, experience, and reliability ... results you can count on!" DRS Acquisitions, Inc. conducts national outbound telemarketing services. 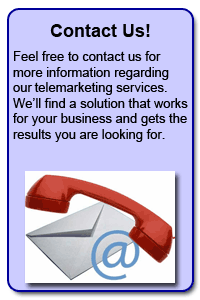 The telemarketing we provide is conducted at our call center; located in rural Sauk Centre, Minnesota which is approximately 2 hours northwest of Minneapolis, Minnesota. 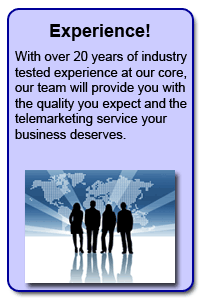 We will bring small town values, a strong work ethic and a personal touch to your Outbound Telemarketing Program. Since 1995, through the efforts of over 75 employees, we have delivered over 5,000 hours of telemarketing services per month. 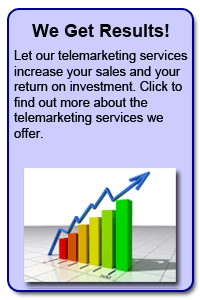 About two-thirds of our programs are Outbound Business to Business Telemarketing (B2B), and one-third Outbound Business to Consumer Telemarketing (B2C). Our neutral, mid-west accent; coupled with a friendly, professional approach creates a positive experience for your clients and prospects, resulting in increased productivity and proven results. We offer a variety of services to obtain the results you are looking for. Whether it's appointment setting, lead generation, BPA (Business Publication Auditing), customer surveys, market research, sales verification, or even political campaigns our qualified staff of professionals with over 60 years of combined industry experience is second to none. Contact DRS Acquisitions, Inc. today for additional information about our outbound telemarketing services. We'll find a solution that works for you and your marketing strategy.